Come walk with the AST team through the Phoenix Zoo! 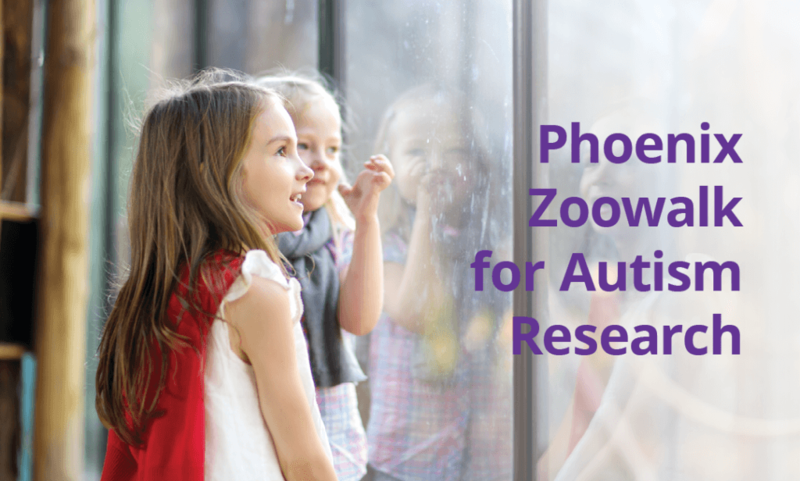 The Zoowalk is a fun family event that raises money for the Autism/Asperger’s Research Program at ASU. AST’s Arizona team will be walking to raise funds and host a booth. For just $25, you make a meaningful contribution, receive a Zoowalk t-shirt and get all-day admission to the zoo. Children under 12 and people on the spectrum are free! Have a fun time strolling around the zoo with your family and friends, seeing lions, elephants, monkeys and more. To learn more, make a donation or participate in the walk, click here.